This is a guest post by ASQ Influential Voices blogger Manu Vora, chairman and president of Business Excellence, Inc USA. He is an expert in organizational excellence and the Baldrige Performance Excellence Program, and blogs at Thoughts on Quality. Most quality professionals are very proficient in technical knowledge. However, they generally focus only on the technical aspects of their work and overlook “soft” or support skills, which are also crucial for organizational success. In a global economy, professionals need to be more proficient in communication practices and principles to be successful. One way to approach the development of communication skills and creativity is by experimenting with simple technology such as Google Hangout on Air to share knowledge with a wider audience. As an example, I will describe how this platform was used for a 12-topic leadership excellence series and presented to large audiences in organizations as diverse as Indian universities, large corporations, and ASQ member units, with more presentations planned for the future. For working quality professionals, Google Hangouts on Air can be used for meeting with offsite colleagues, professional training, or nearly any other professional collaboration. 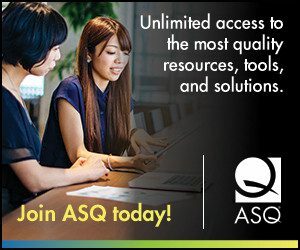 In regards to ASQ members in particular, with 240 ASQ Sections, 26 Divisions/Interest Groups, and 47 Local Member Communities (LMCs) outside the U.S., there are a large number of technical meetings and conferences being held almost year-round. The Google Hangout platform can easily be used to engage well-qualified speakers from around the world to deliver their topics of expertise. This platform opens up many new opportunities for member units to invite outstanding speakers with minimal time commitment and no expense for travel. There are several advantages to using Google Hangouts on Air. It’s a free, live video conference call (note that Hangouts on Air are different from Hangouts. The Hangouts are not recorded or publicly broadcast and are intended for private conversations). Note that you can certainly record a webinar through a traditional platform like WebEx, but the advantage of the Google Hangout on Air is that it’s free and also immediately shareable through YouTube and, consequently, through other social media and blogs. Up to 10 different participants can take part in the Google Hangout on Air call and there’s no limit to the number or people who can watch the call. Hangouts on Air are automatically recorded and posted on YouTube post-call for easy sharing and viewing (no log-ins, subscriptions, or payment). This is similar to the massive open online courses (MOOCs) distance learning effort that has been gaining popularity in the last five years. Gmail account for the moderator or originator of Google Hangout On Air and the active participants (but not viewers, who only need Internet access). Here are a few examples of how a Google Hangout on Air can have enormous reach through fairly little organizational effort (unlike, for example, a conference or a physical meeting). The aforementioned leadership excellence series has been shared with more than 6,500 students at the Indian Institute of Technology (ITT-BHU), in Varanasi, India. This series will benefit students during their school years, in their job search, and at work. The leadership excellence series topics (LES), by the way, were: leadership excellence, effective teamwork, effective time management, effective meeting management, effective decision making, effective project management, effective risk management, effective talent management, voice of the customer management, effective operational excellence, sustainable change management, and effective supply chain management. –At ASQ Mumbai LMC, eight Commerce, Science, Arts, Engineering and Management colleges started the LES program using Google Hangout On Air (live audience of 1,000 or more). –ASQ India has collaborated with eight to nine engineering and management schools to initiate similar LES program using Google Hangout On Air (live audience of 1,000 or more). For international students at Illinois Institute of Technology in Chicago, a leadership excellence series will be offered using Google Hangout platform starting in August 2015. The resultant YouTube videos will be shared with the entire campus community (7,900 people). The series was also presented via Google Hangout to eight to nine regional locations of Vinmar India starting in July 2015. This will benefit the entire company in India with new knowledge. In 2014 several ASQ Influential Voices bloggers throughout the U.S., Costa Rica, and Canada recorded a live panel about blogging and writing via Hangout. As with any software or meeting program, Hangouts on Air are occasionally prone to glitches and setup difficulties. Below, I’m sharing links to several tutorials to help make your Hangout a smooth experience, as well as a video with more information on using Hangouts in Indian universities. In the 21st century, knowledge can be transferred globally leveraging technology. Hangouts, as well as other technology platforms, provide tremendous benefits to manage scarce budget resources for learning, development, and training. What kind of resources are you using in your organization or your personal life to share information? Do you experiment with new platforms or do you prefer traditional means of transferring knowledge? A video interview with Manu Vora on the gift of knowledge transfer for leveraging technology. A Guide to Getting Started With Hangouts on Air. Avoiding Technical Glitches With Google Hangouts.